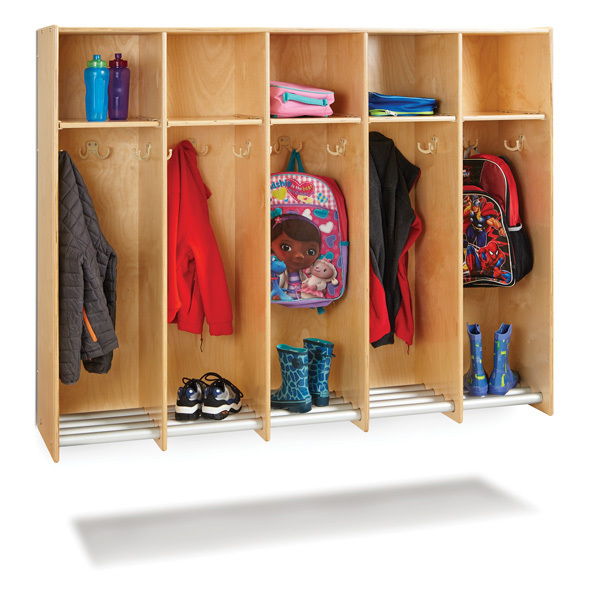 Make cleanup easy with this five-section locker. Four aluminum tubes at the bottom of each section allow water, snow, and dirt to fall to the floor or into a boot tray (not included.) 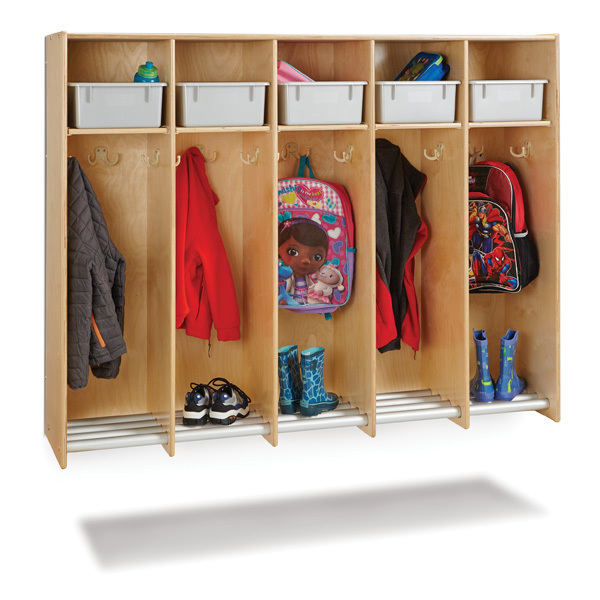 Each 11-3/8” wide section features three double-hooks for hanging book bags and jackets as well as an opening on the top for storing lunch bags, papers, and hats. Wall mount brackets included.